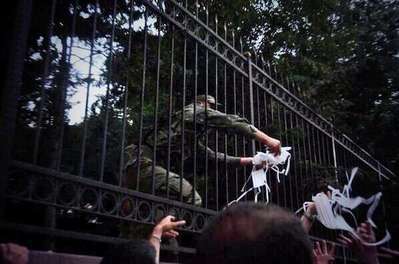 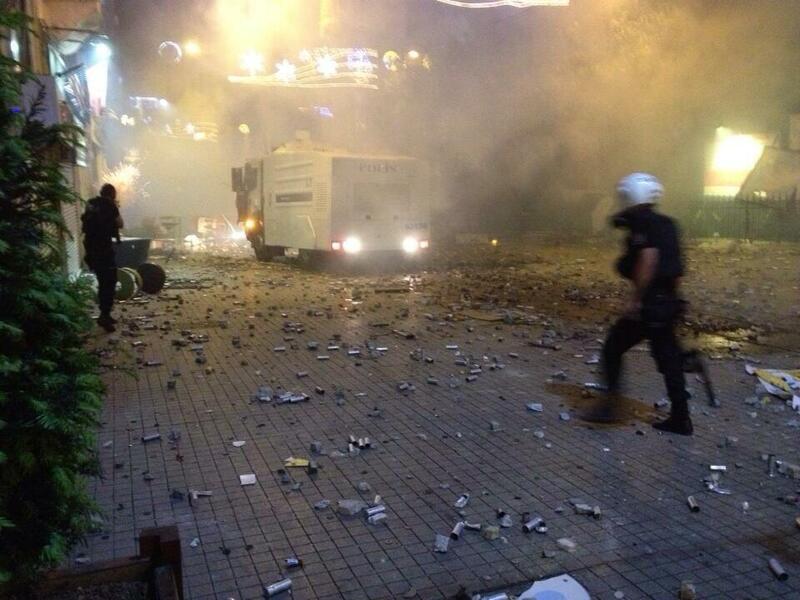 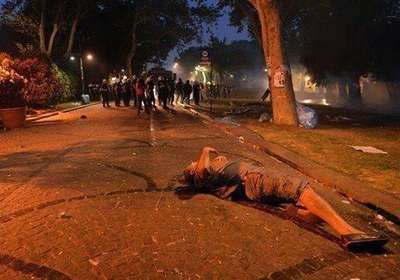 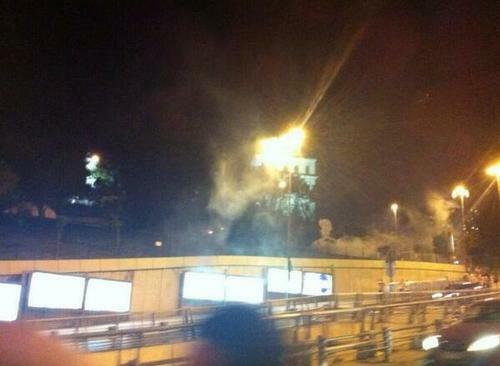 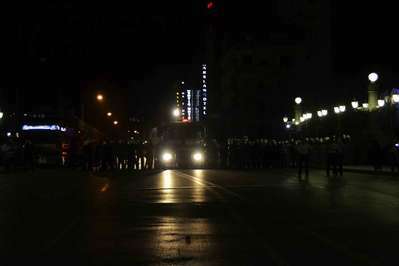 At 05:00 in the morning, police attacked for a second time to the protesters. 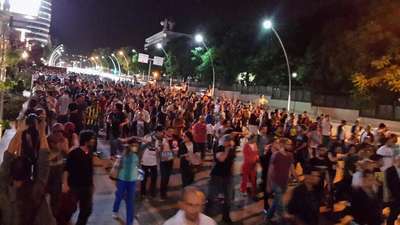 After dispersing the crowd, police started to cover the park with barriers, which eventually increased the tension of the clash further to streets. 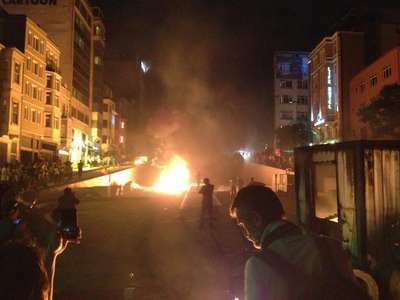 Conflict kept rising up until the early hours of the morning. 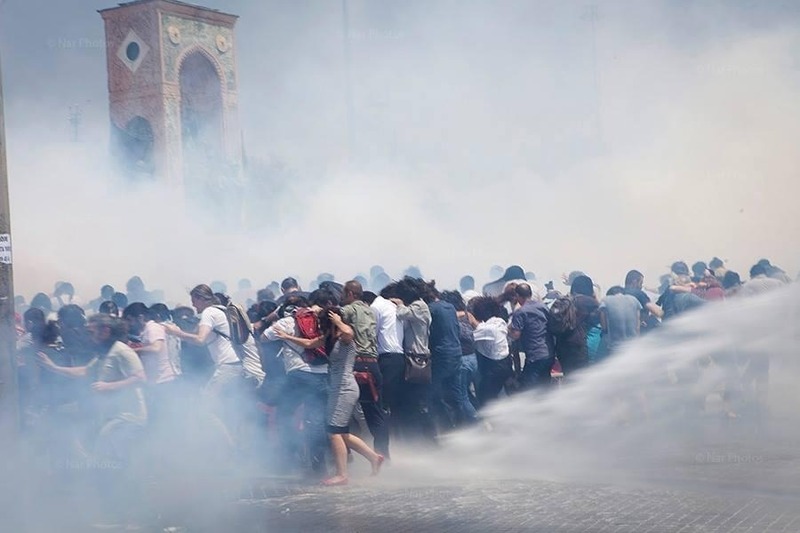 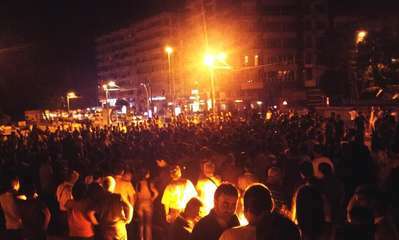 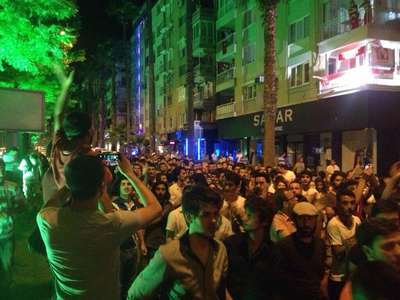 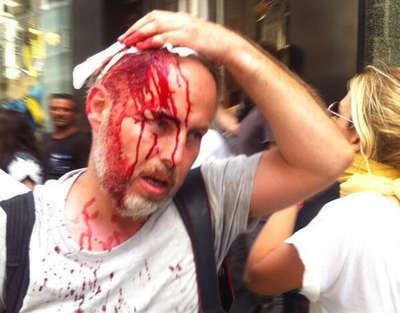 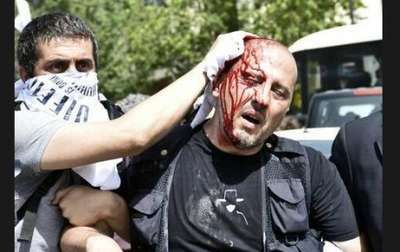 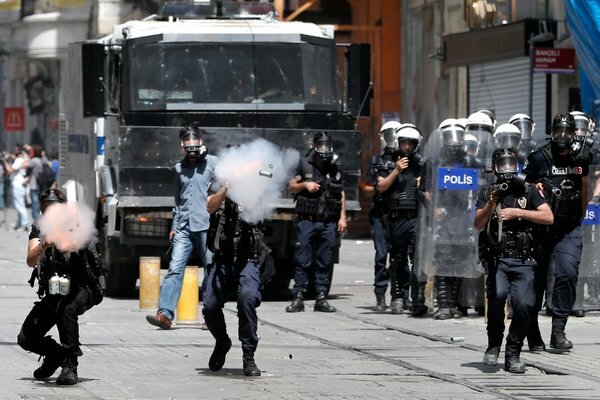 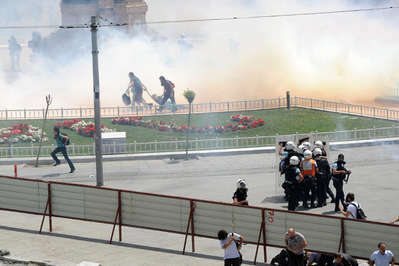 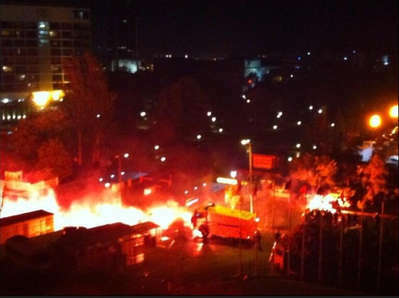 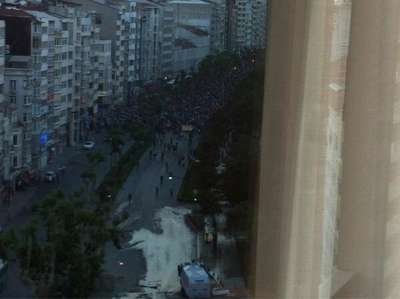 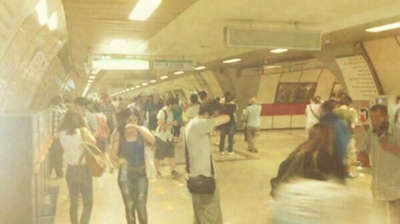 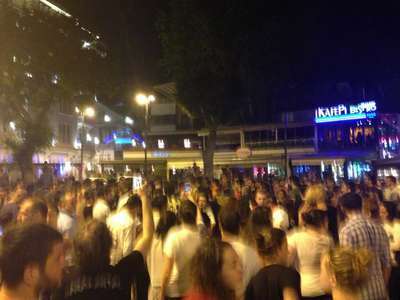 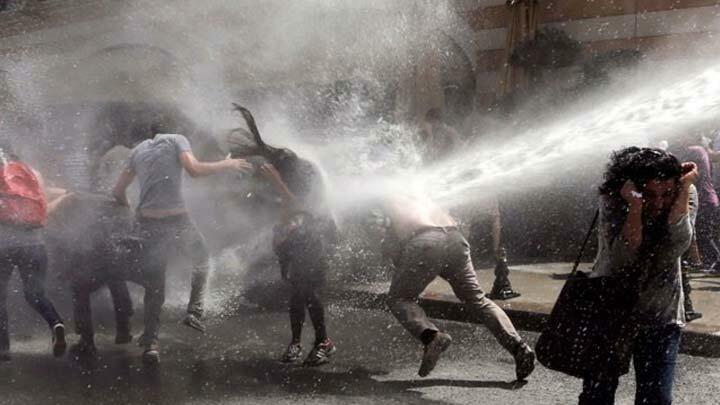 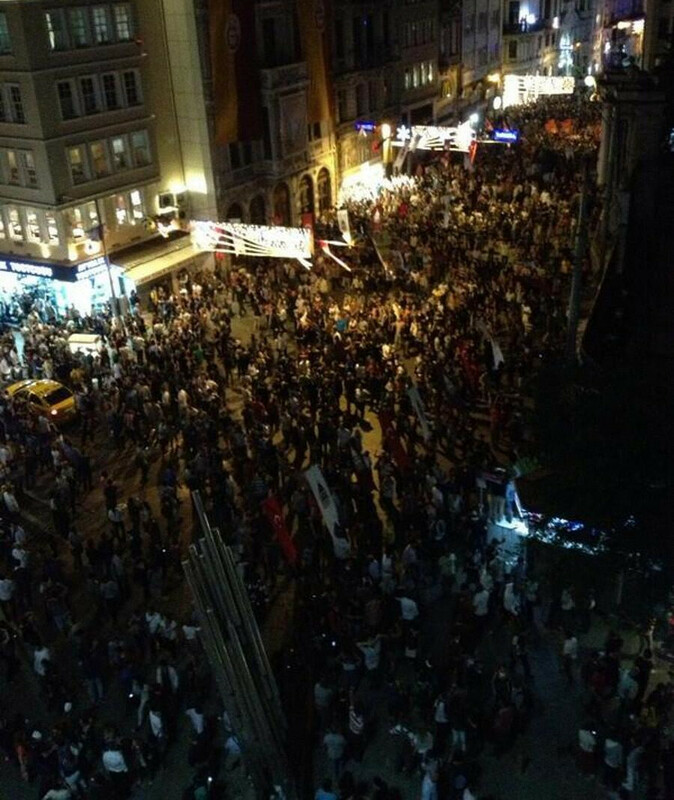 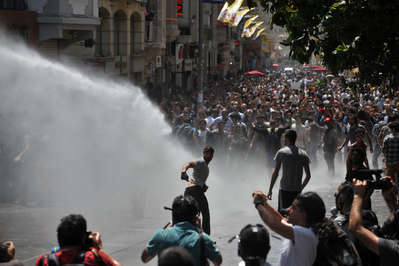 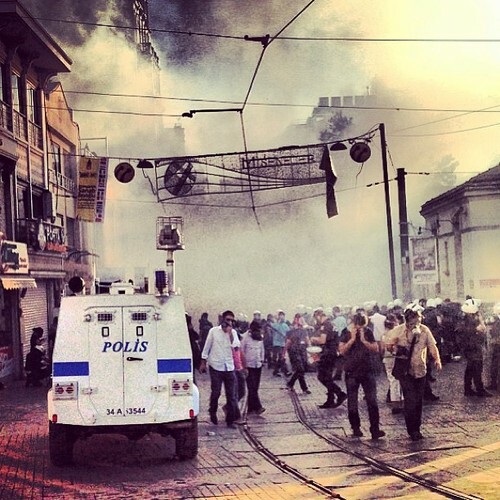 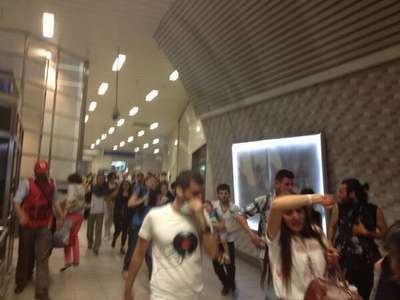 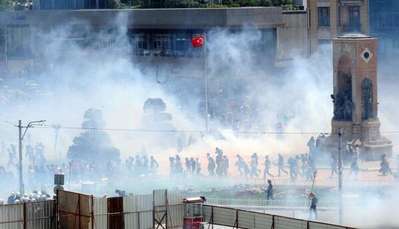 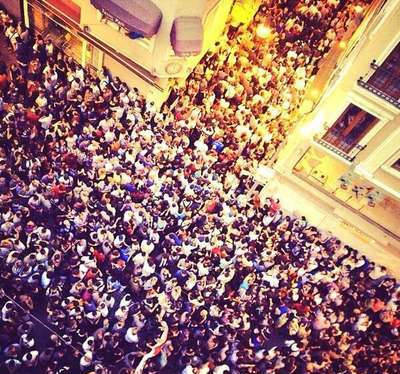 The violence supporting attitude of the police forces caused thousands of other people around Turkey to join the protest. 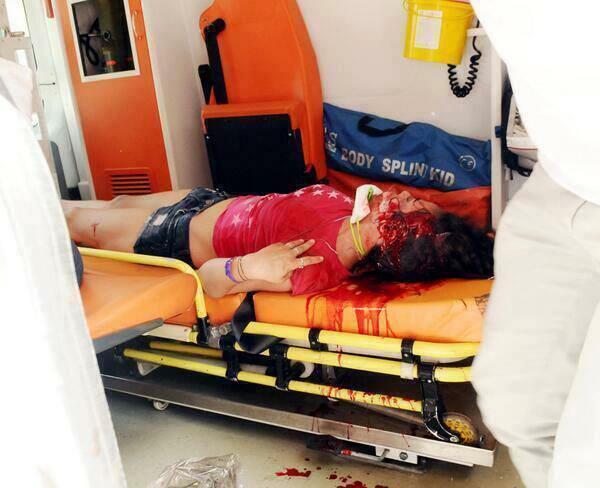 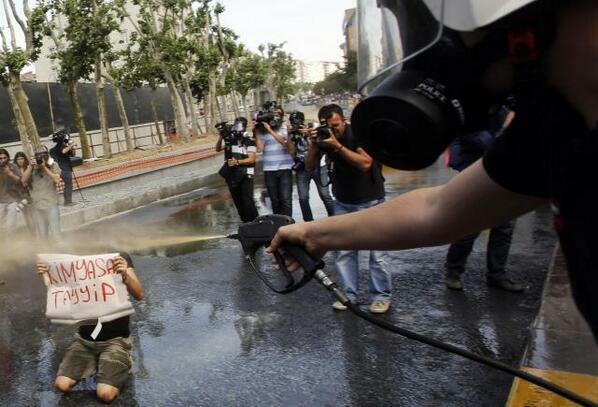 It says "Chemical Tayyip", refering to the prime minister of Turkey, Recep Tayyip Erdoğan. 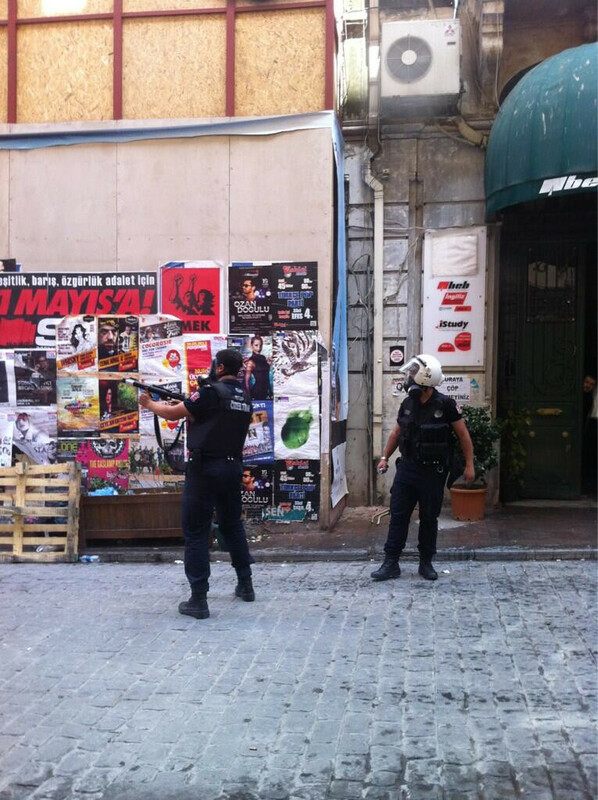 Police raids on İstiklal street. 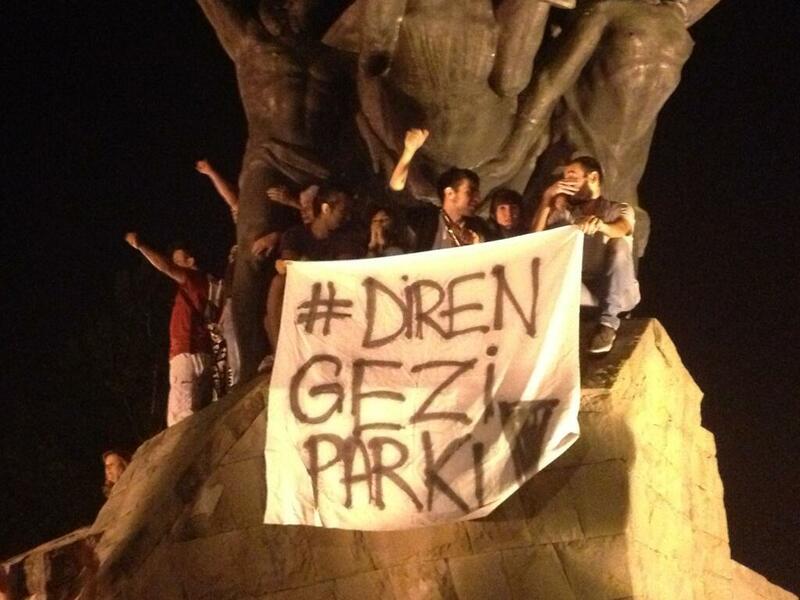 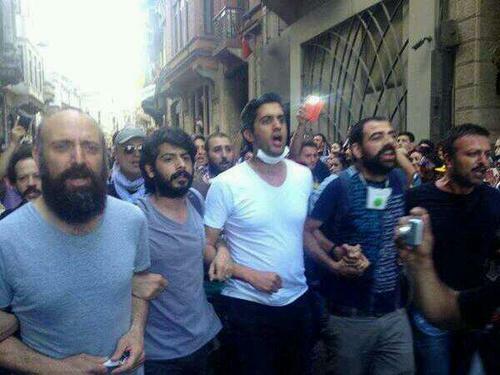 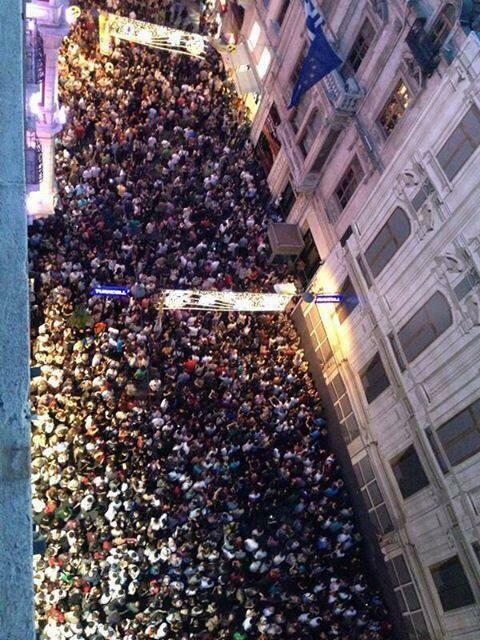 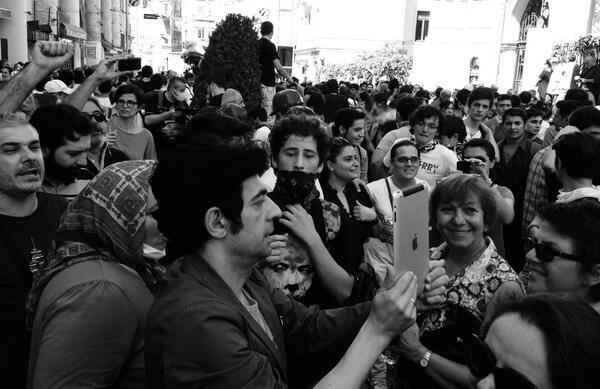 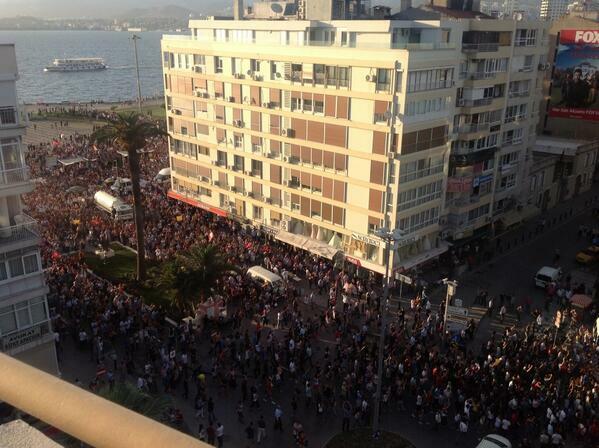 Turkish artists protesting with the crowd. 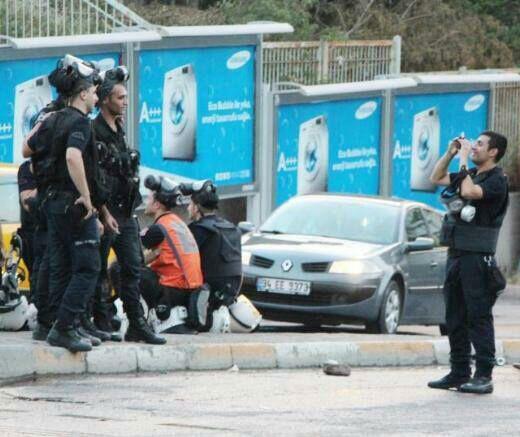 Police officers taking photos of the moment. 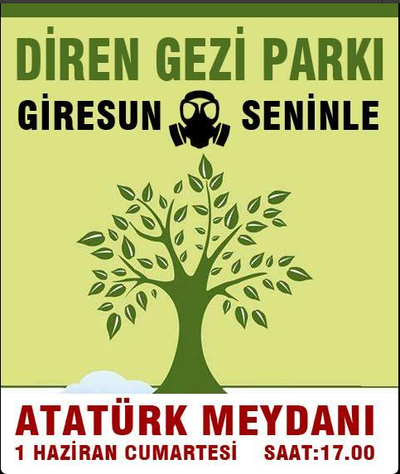 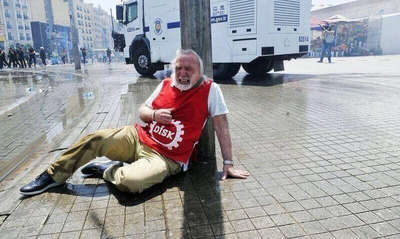 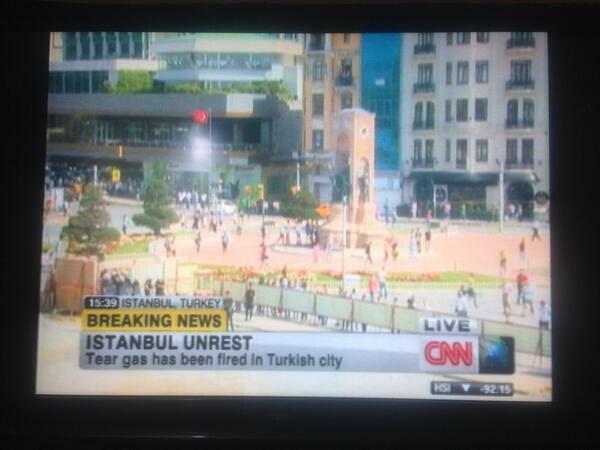 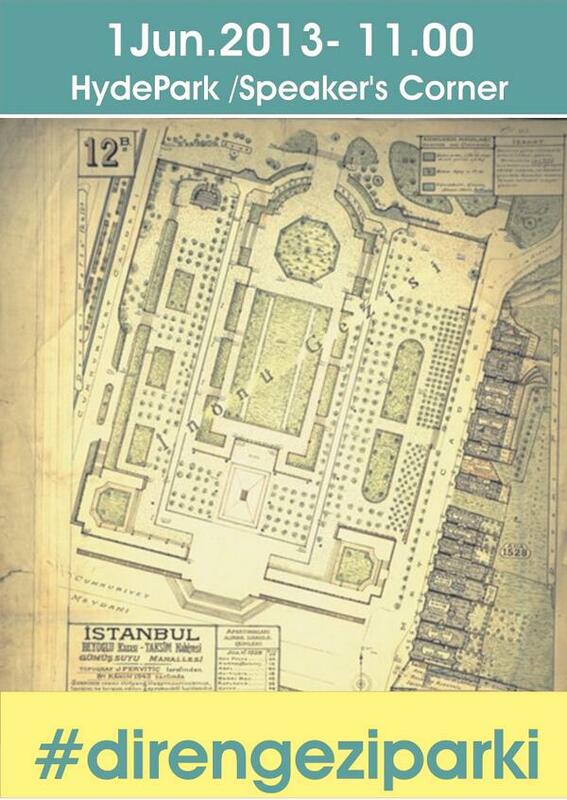 News from the Taksim Gezi Park is prohibited by the government. Telecommunication is getting jammed as well. 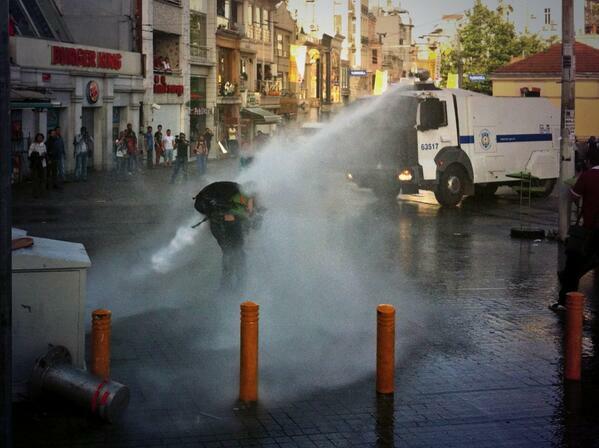 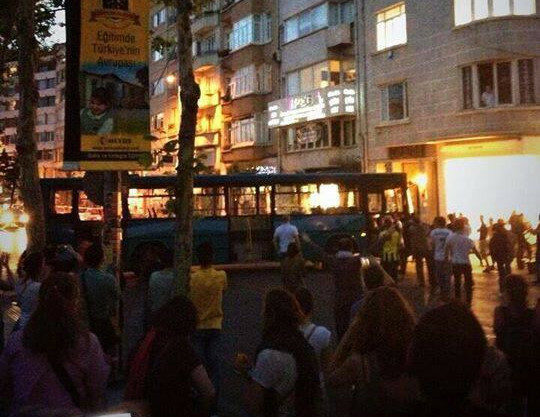 MoBeSe (global survelliance system) cams are shut down in Taksim. 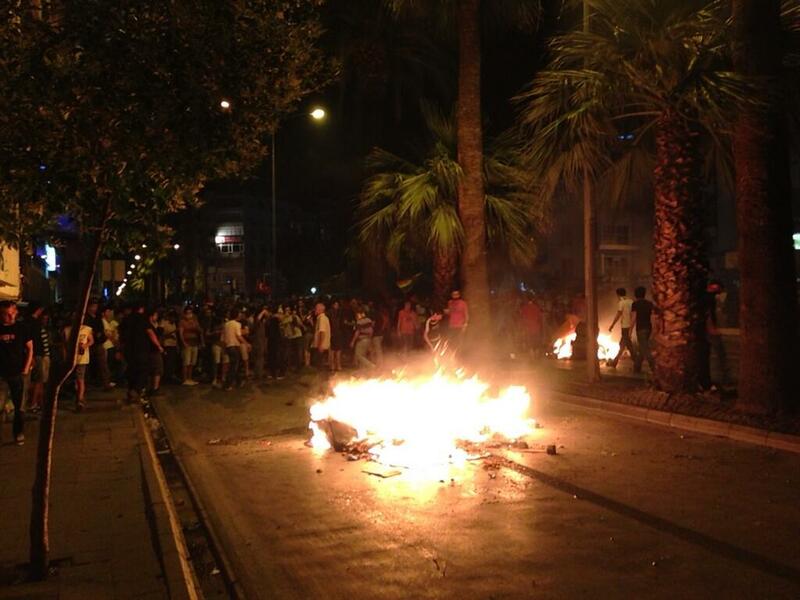 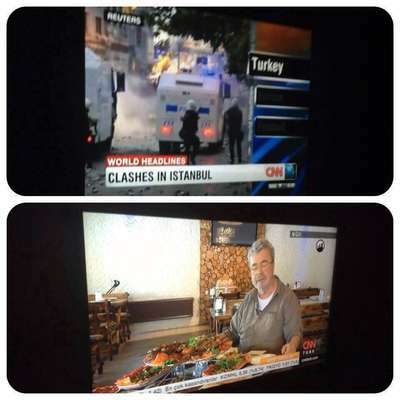 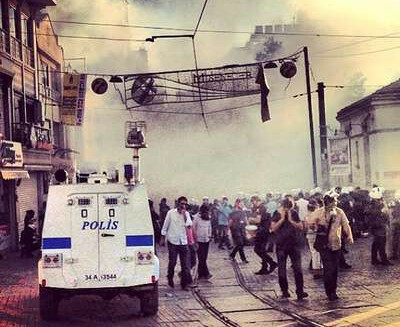 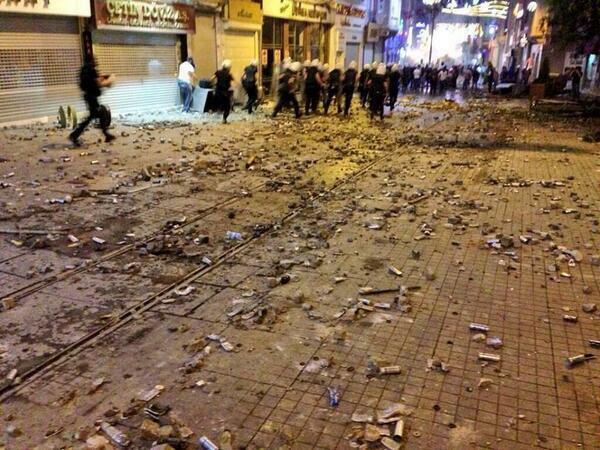 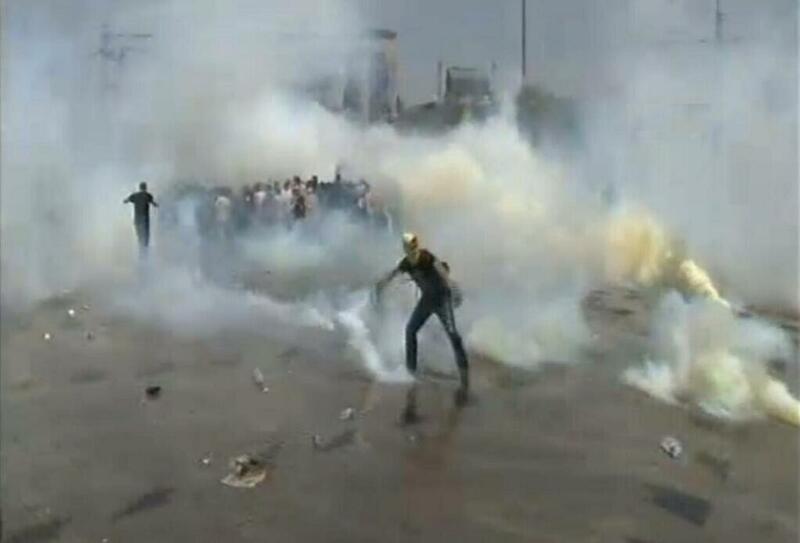 This is what gets reflected in local channels: "Protesters attack against the police with stones and sticks." 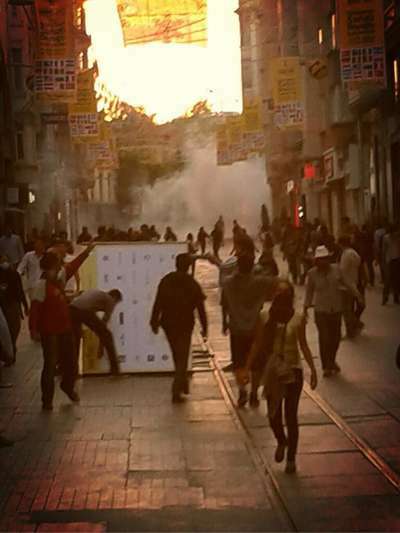 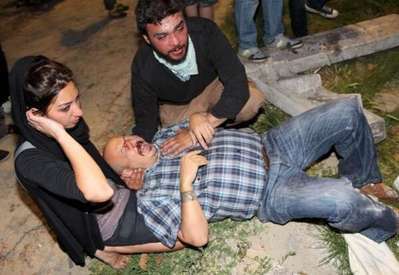 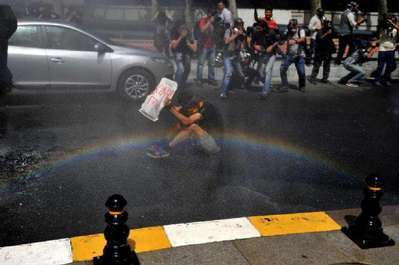 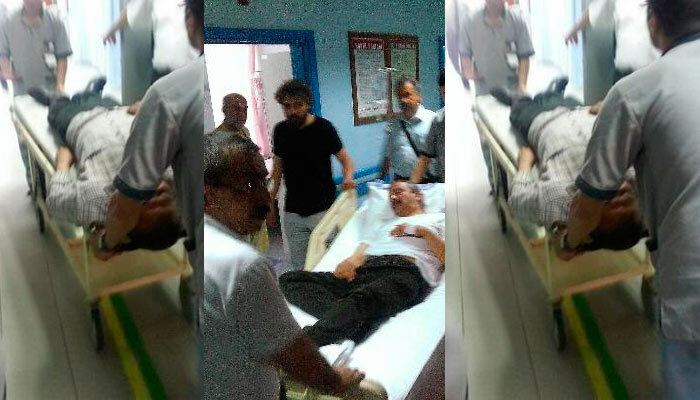 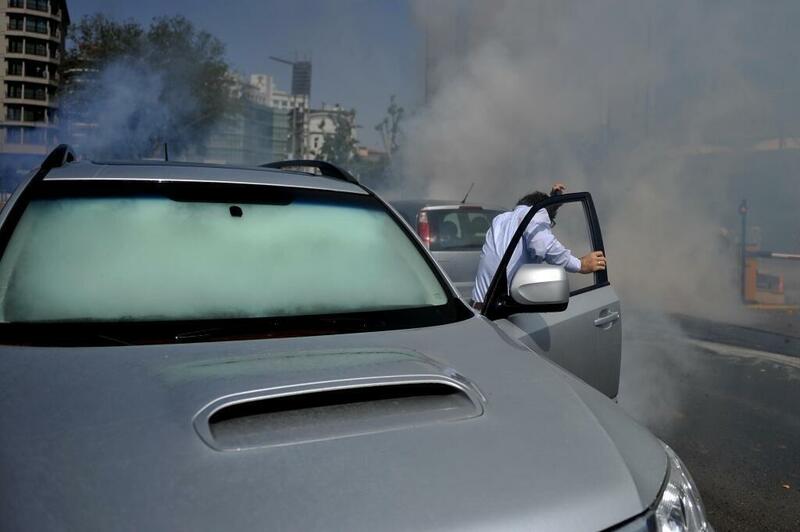 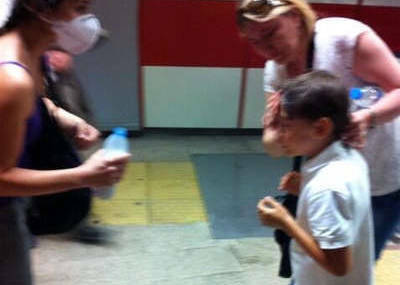 Sırrı Süreyya Önder was hit by a tear gas capsule. 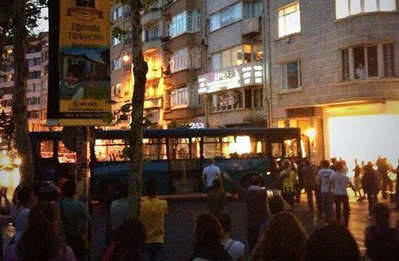 A public bus blocks the street to stop the police forces. 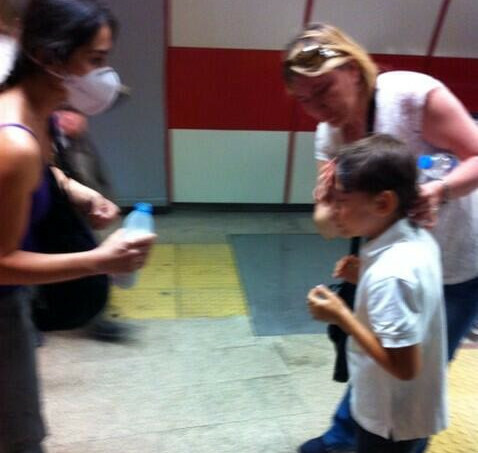 Local guards from army handing out gas masks to the protesters running away from police forces. 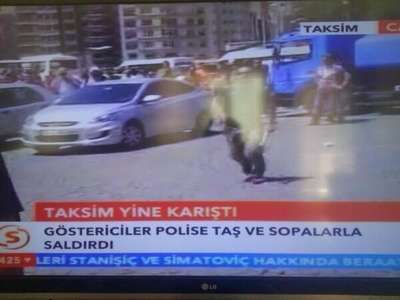 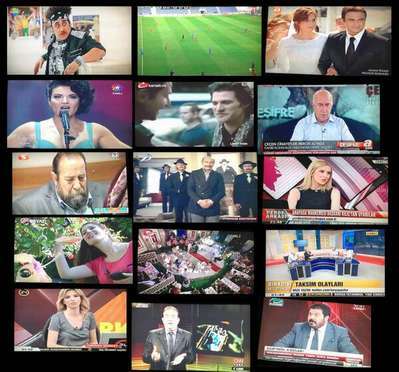 Meanwhile on Turkish TV channels. 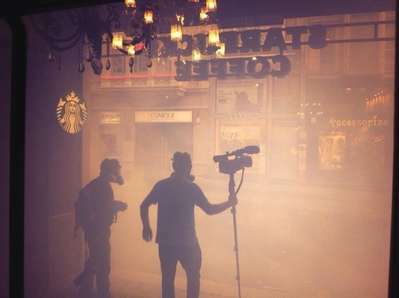 Local media after the prohibition. 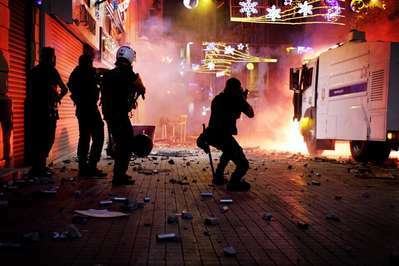 A government tyrannizing its people, has lost its legality. 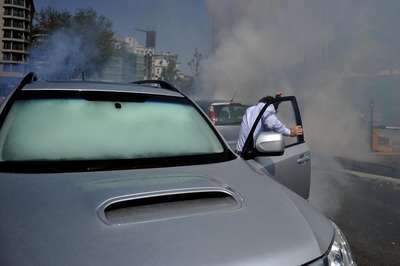 A gas bomb thrown from a helicopter. 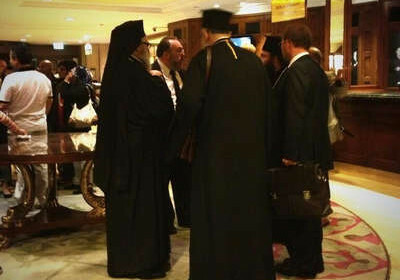 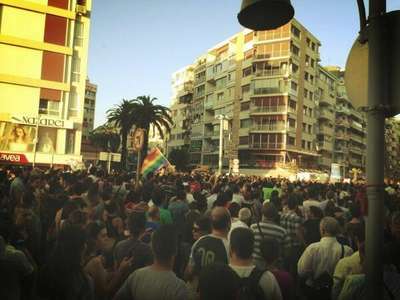 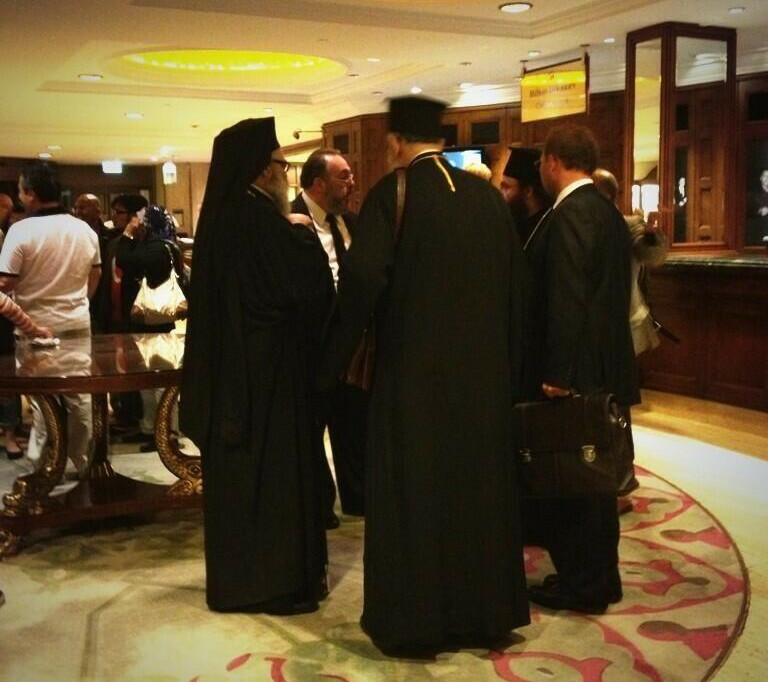 The church and the greeks are in Hilton İstanbul to support the protests. 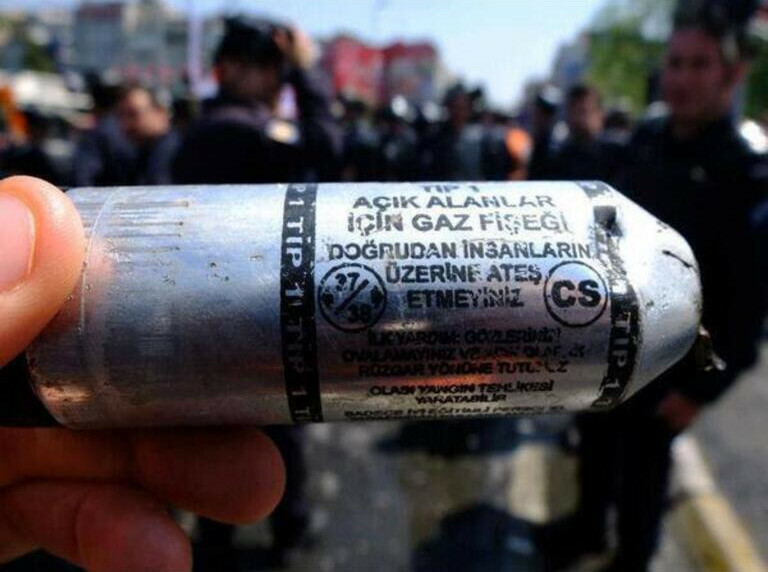 The warning written on the tear gas shell: "Do not directly take aim at human." 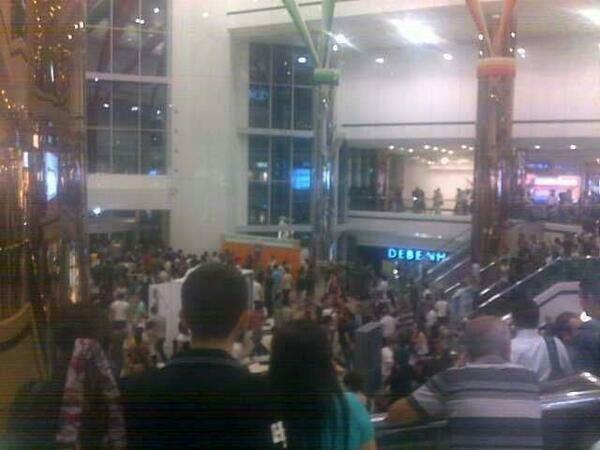 Protesters taking shelter in nearby shopping malls. 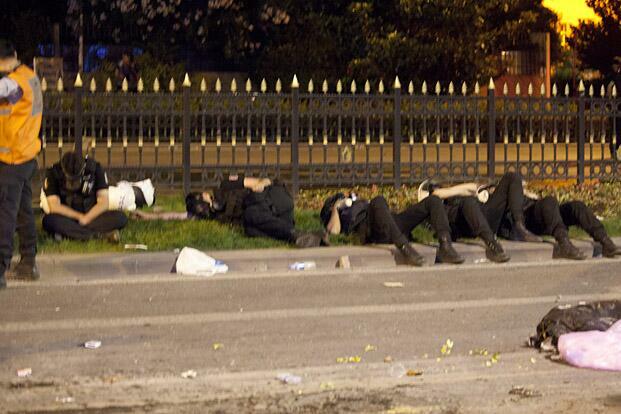 Tired police forces trying to rest. 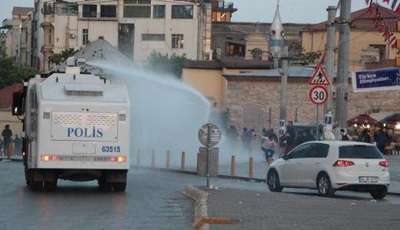 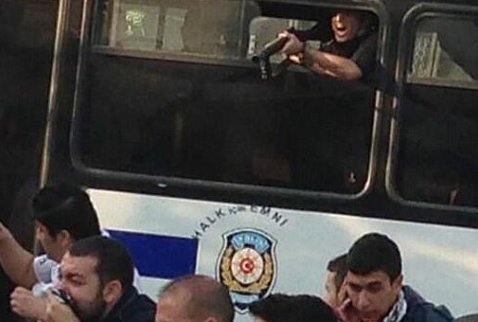 Police forces start to appear in Eskişehir. 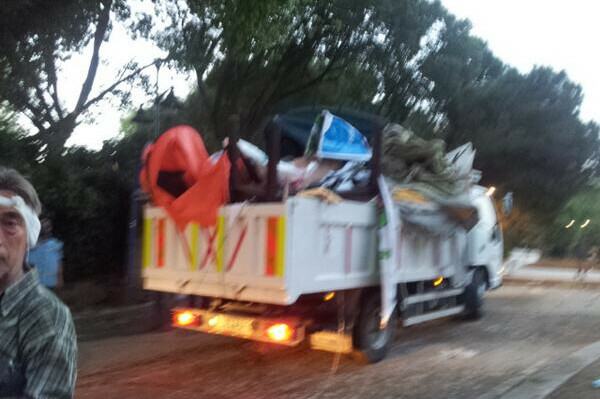 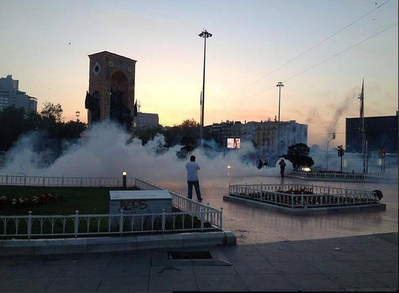 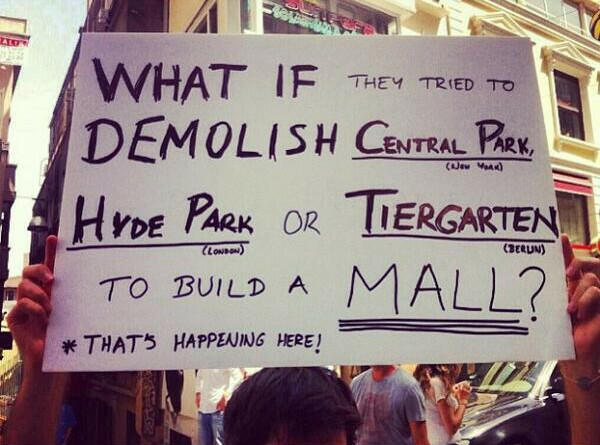 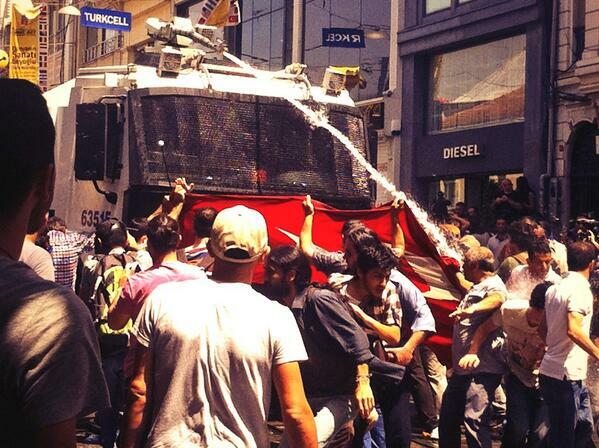 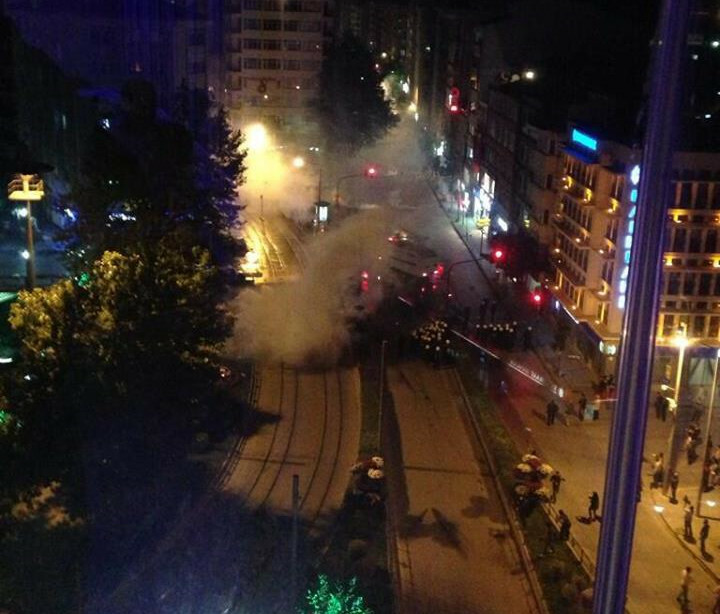 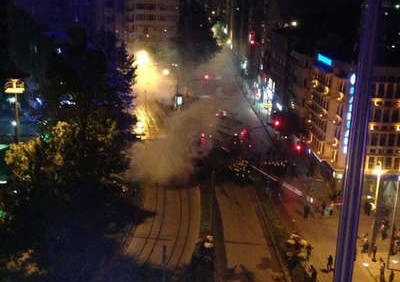 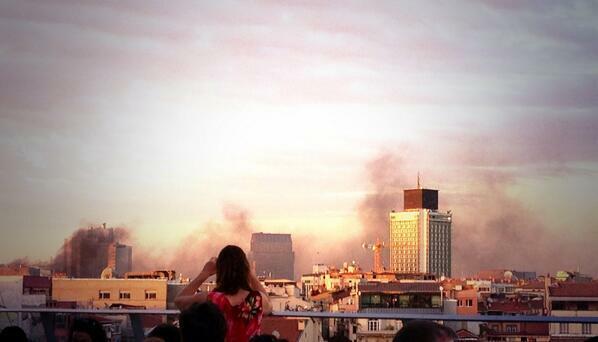 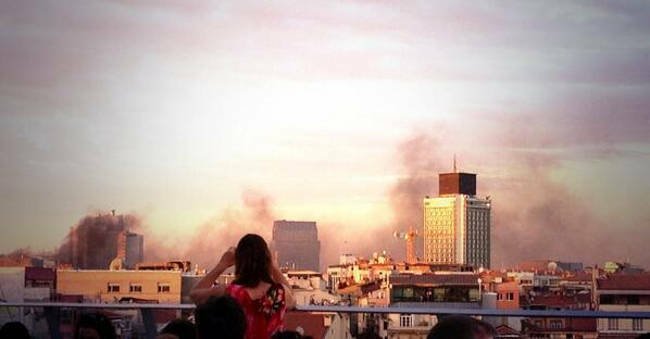 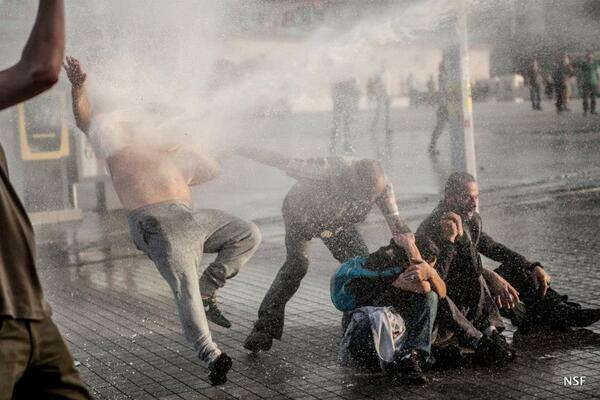 Mayor of İstanbul, Kadir Topbaş, is commenting on the protests: "We could not properly explain the project." 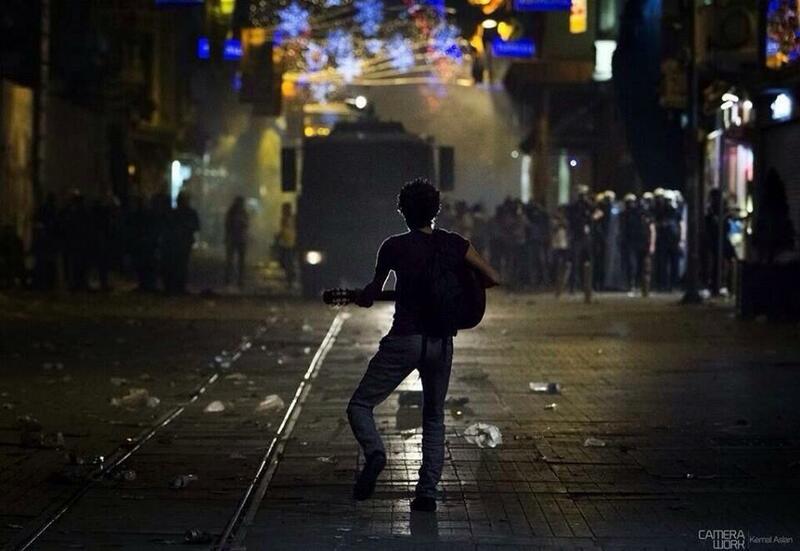 A protester with his guitar in İstiklal. 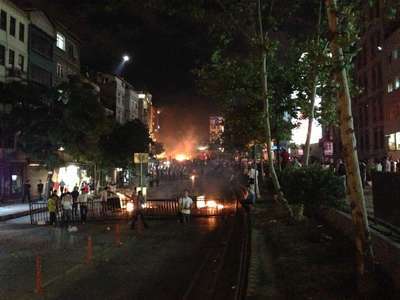 At the header it quotes Erdoğan stating that "In Reyhanlı bombings, the killed people will go to heaven and the killers will go to hell." 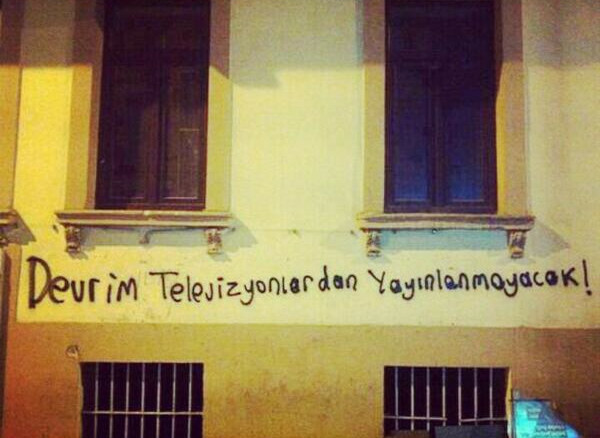 In the drawing it writes that "Deads to heaven, murders to hell and I go to America." 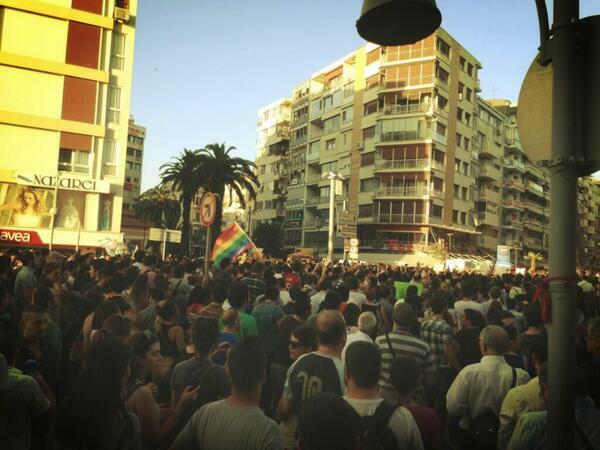 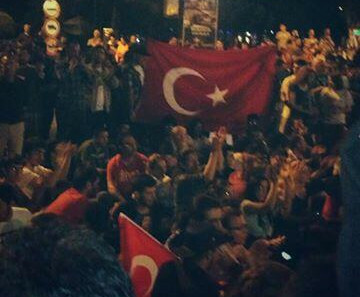 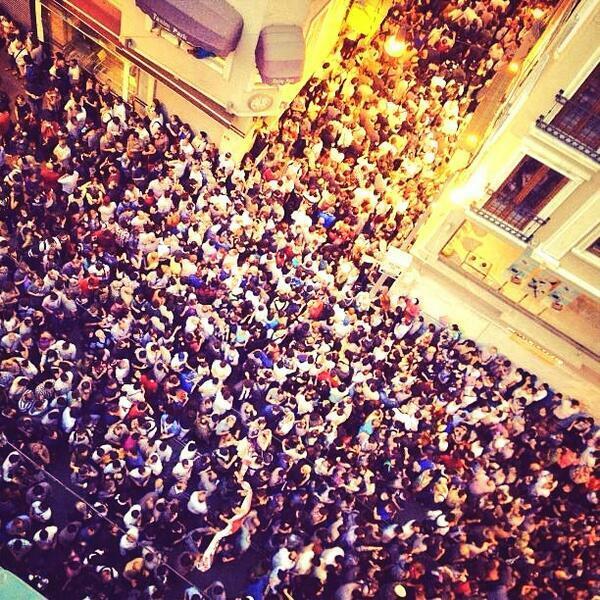 Another scene from İzmir, Turkey. 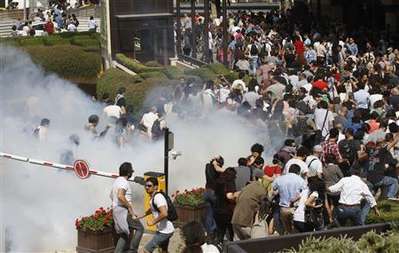 From protests in Tunalı, Ankara, Turkey. Even if Cain raises, plant the sapling in your hands. 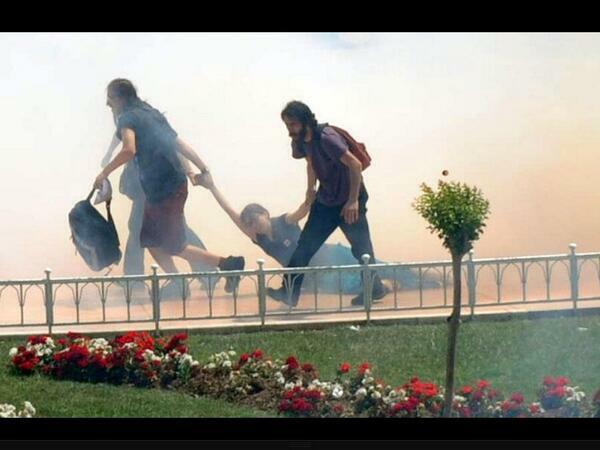 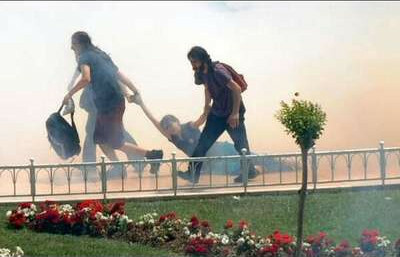 A scene from Ankara, the capital of Turkey. Even if Cain raises, those trees will get ripped off. 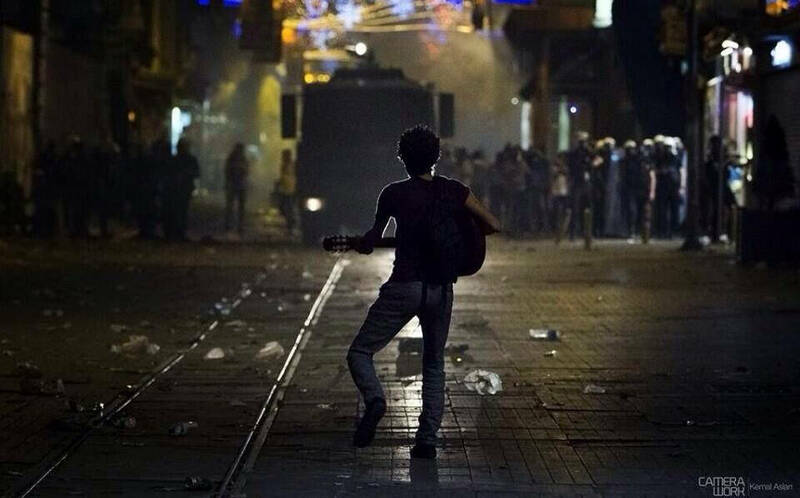 Facebook page of Bruce Wills.